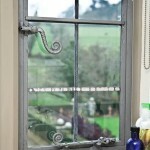 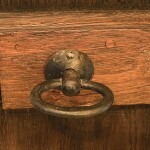 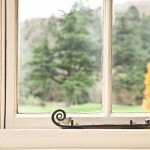 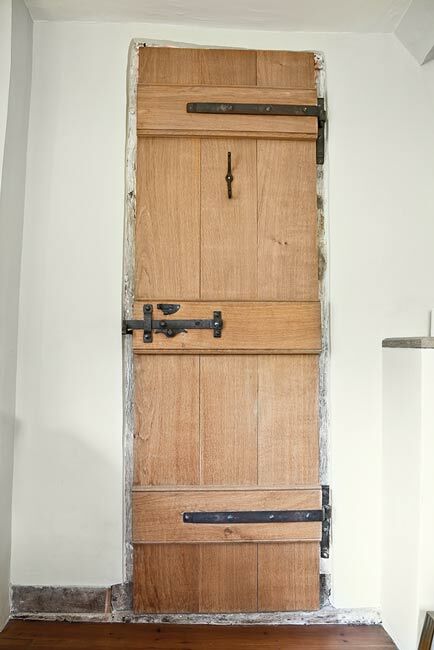 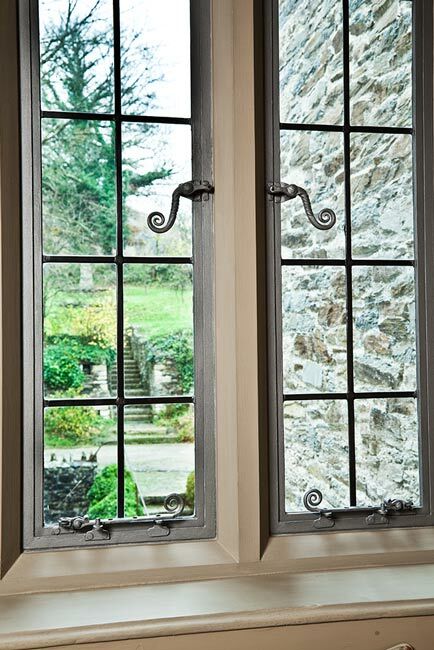 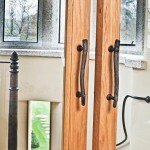 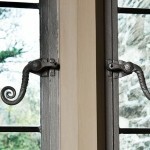 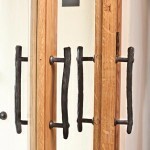 We have been making ironmongery for the (now complete) restoration of this Devon manor house since the early 1990s. 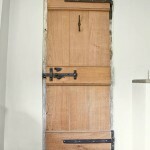 The main building is mid seventeenth century and there would seem to have been an earlier building on the same site of which the flagged floor remains in the central living room. 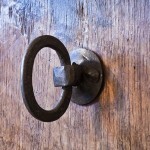 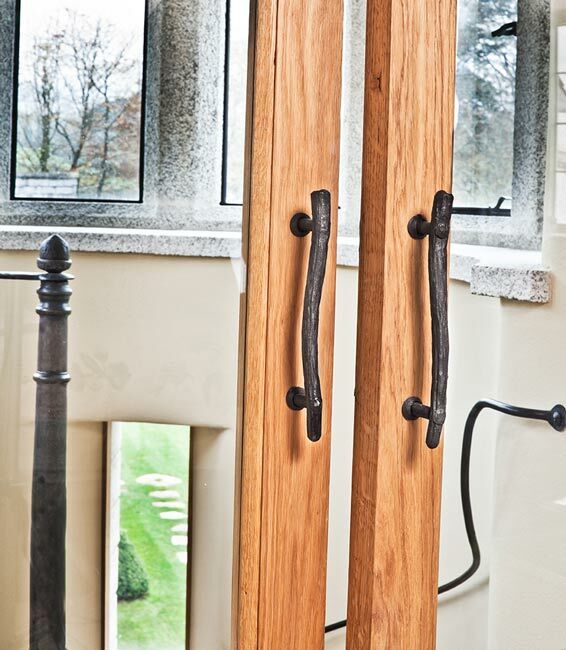 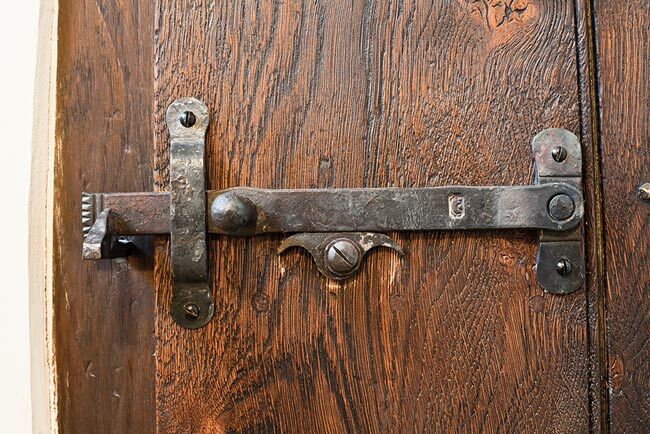 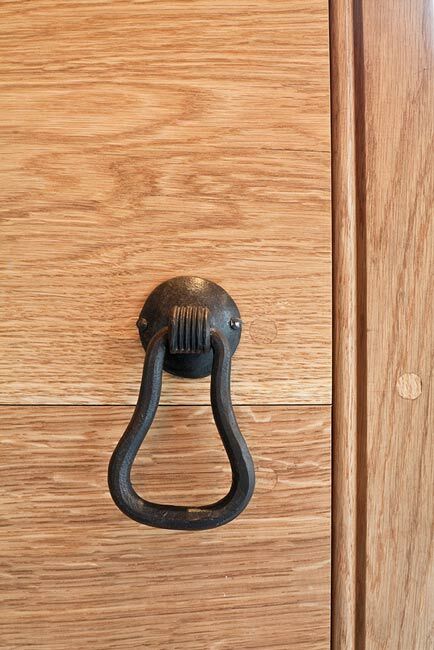 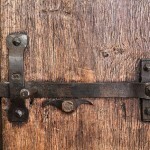 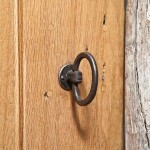 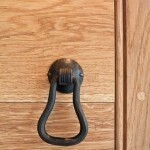 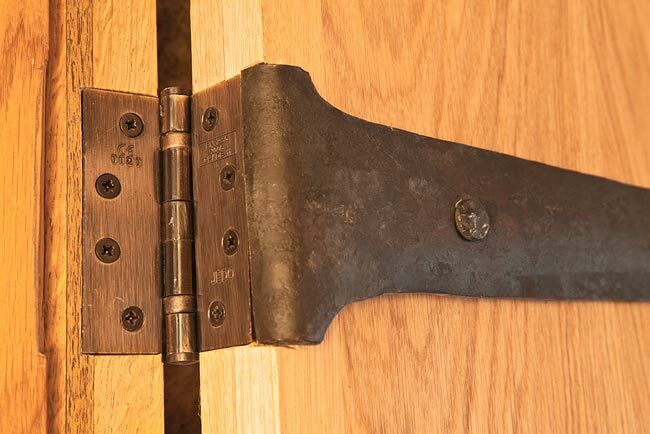 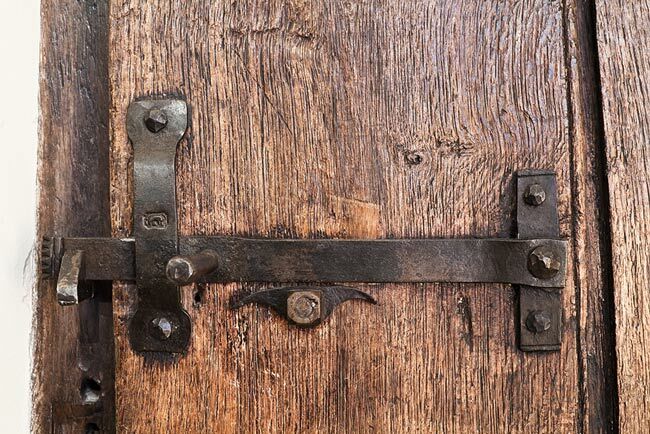 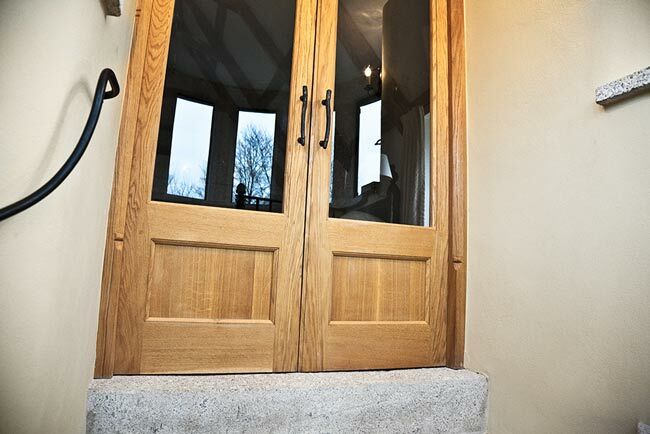 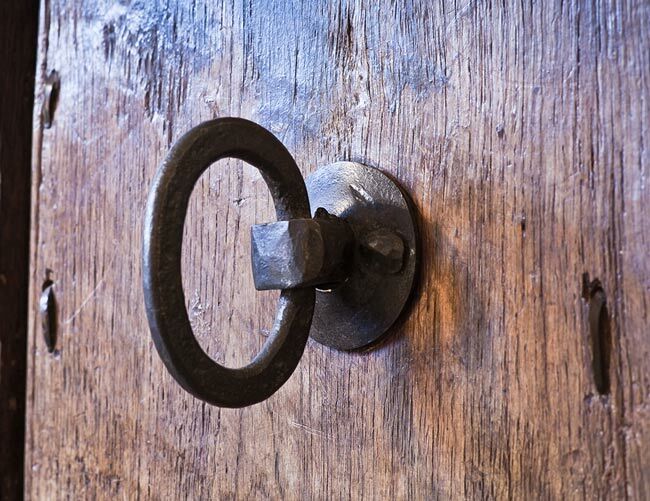 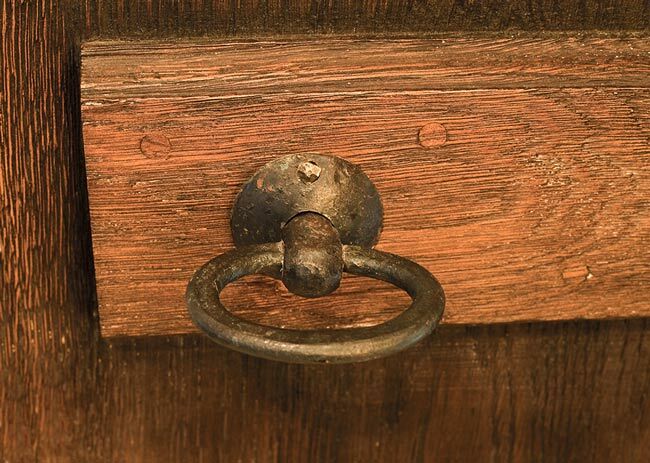 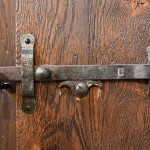 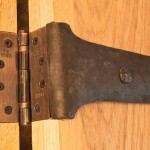 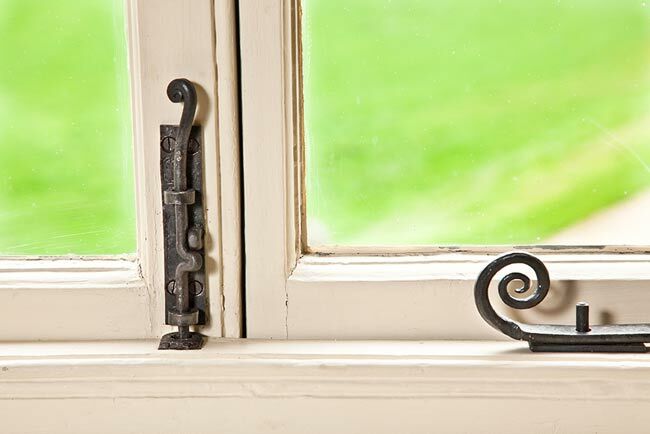 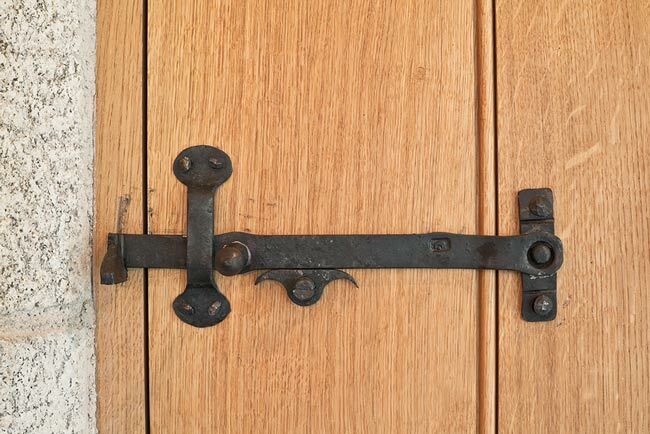 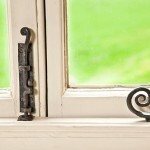 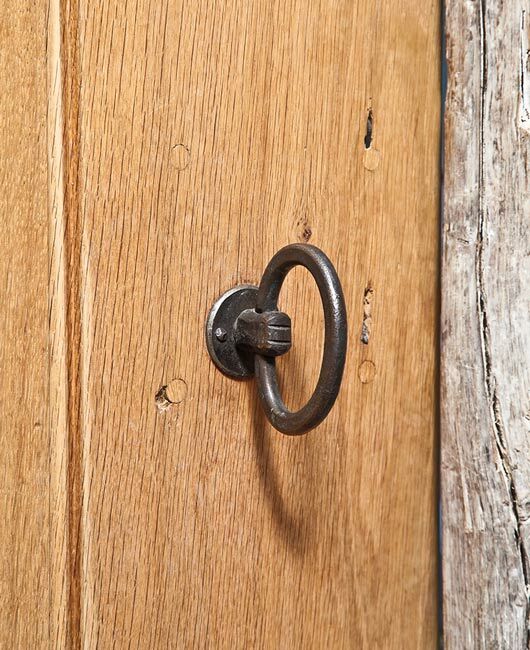 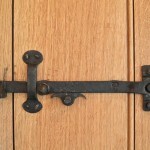 Most of the door and window furniture is therefore in a traditional vein, There are also some instances where we have repaired, improved or adjusted existing or original ironmongery. 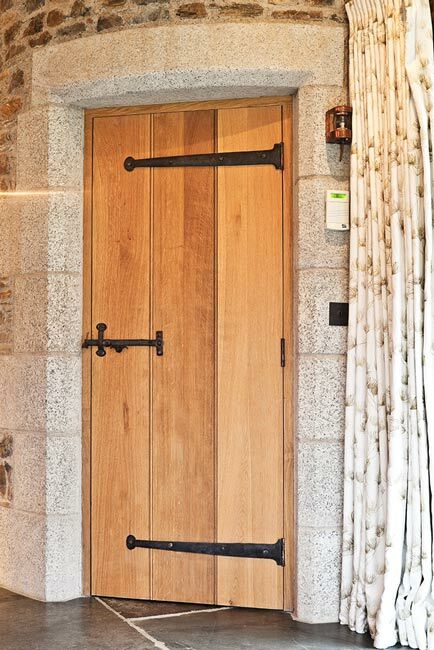 In the more modern part of the house there is a slightly more contemporary feel, but still largely restrained by, and in keeping with, the older elements. 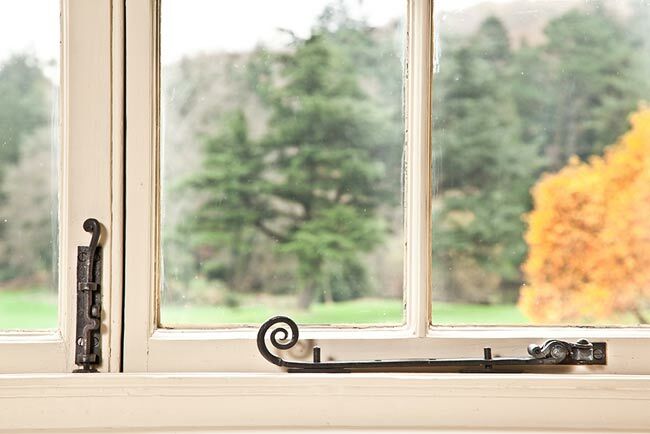 The guard and handrails glimpsed in the second and last of these pictures is more fully shown in the ‘stairs and handrails’ section of Commissions. 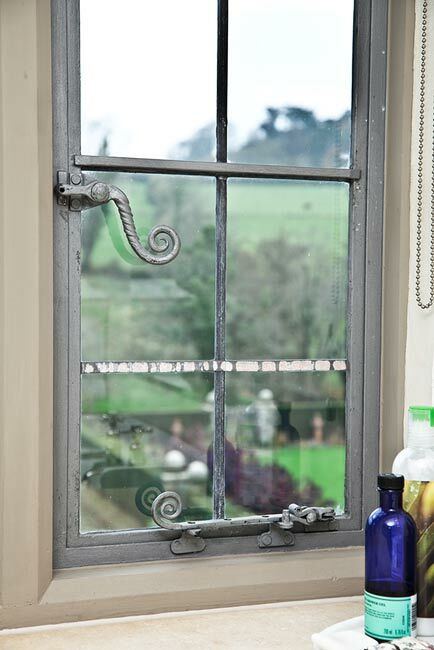 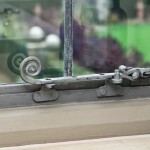 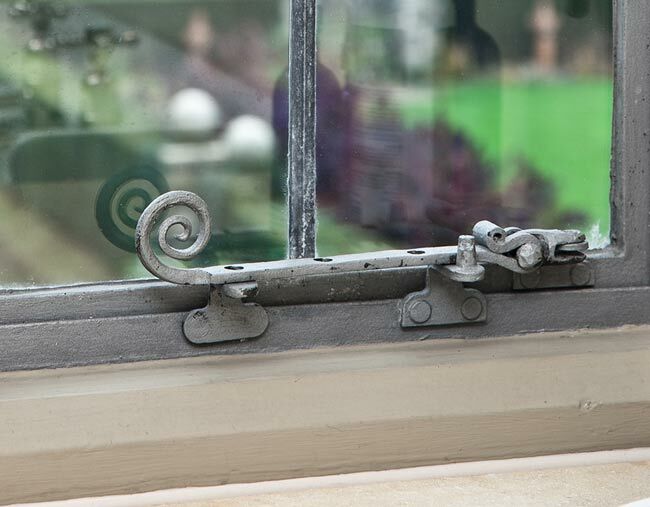 Below are some details of various window furniture that we designed and made throughout the house in the course of the restoration; I particularly liked the forging detail of the window stay knuckle . 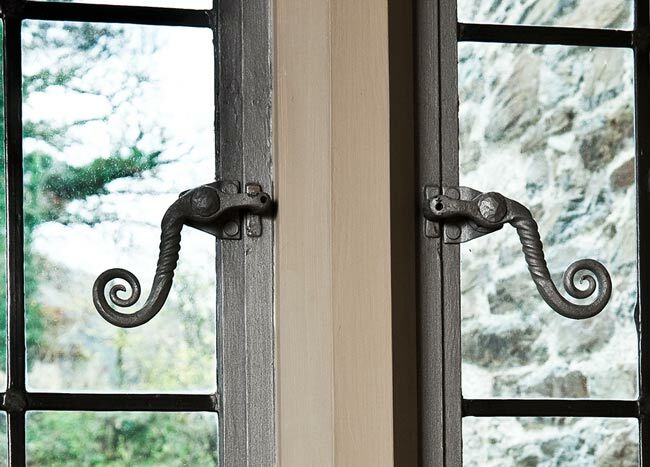 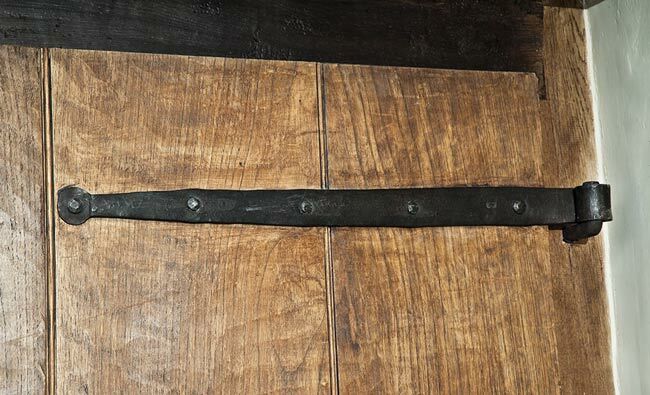 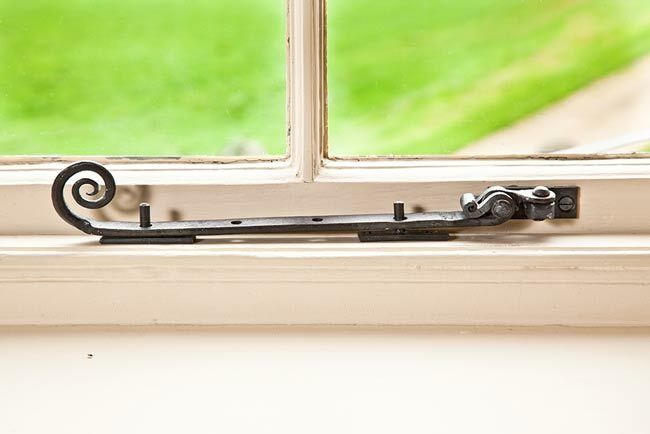 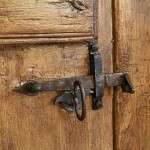 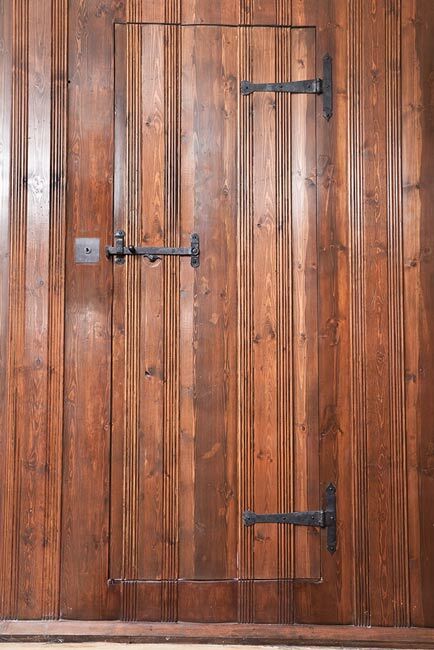 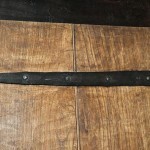 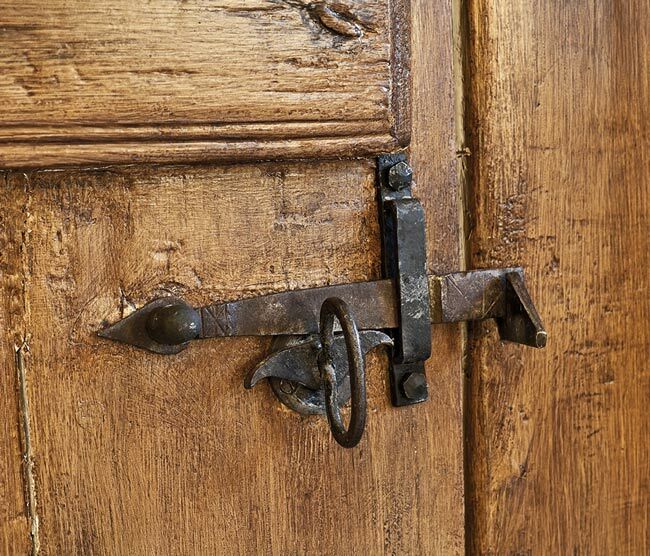 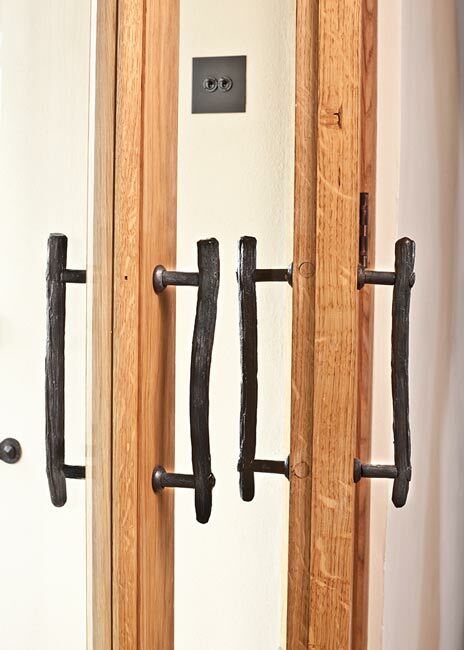 Customer feedback; John has made the majority of the new ironmongery for our 17th Century Manor House – from strap hinges, to door catches, handrails to balusters. 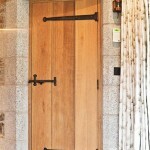 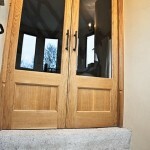 John’s attention to detail and standard of work is first-class.